August 17, 2013 — KMC University is preparing to deliver the second and last Hands-On Lab of 2013 Sept. 20–21 at the Drury Hotel Plaza Hotel in St. Louis. 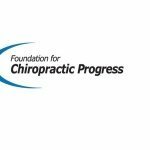 The Hands-On Lab is a workshop that addresses the compliance and reimbursement issues that a majority of chiropractic practices are experiencing these days. The Hands-On Lab’s content is broken down into easy to understand and simple to implement pieces, and real-life samples, videos, and demos are part of the instructional approach, leaving attendees prepared to take on the challenges and opportunities of today’s complex healthcare environment. Registrations to the KMC University Hands-On Lab are currently open, and can be completed online at kmcuniversity.com, by phone at 1-855-TEAM KMC Ext. 105, and by email at info@kmcuniversity.com.